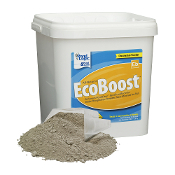 Pond Logic EcoBoost provides more than just enhanced pond clarity. Added trace minerals promote a healthy fish population while enhancing beneficial aerobic bacteria and locking up free nutrients that throw your pond out of balance. 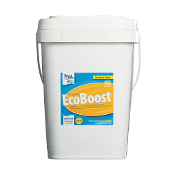 Pond Logic EcoBoost can also be used to clear up water cloudiness associated with chemical herbicide/algaecide applications.